In a very personal challenge, Guy Martin - lorry mechanic and inveterate tinkerer -completely remodels his beloved Transit van to try and break two very tough speed records. Three years ago, Guy crashed that favourite Transit and wrote it off. He was gutted, but rather than letting it go to the breaker’s yard, Guy rebuilt his van as a blisteringly fast racing machine, which he raced across the Nevada desert at 165 mph. 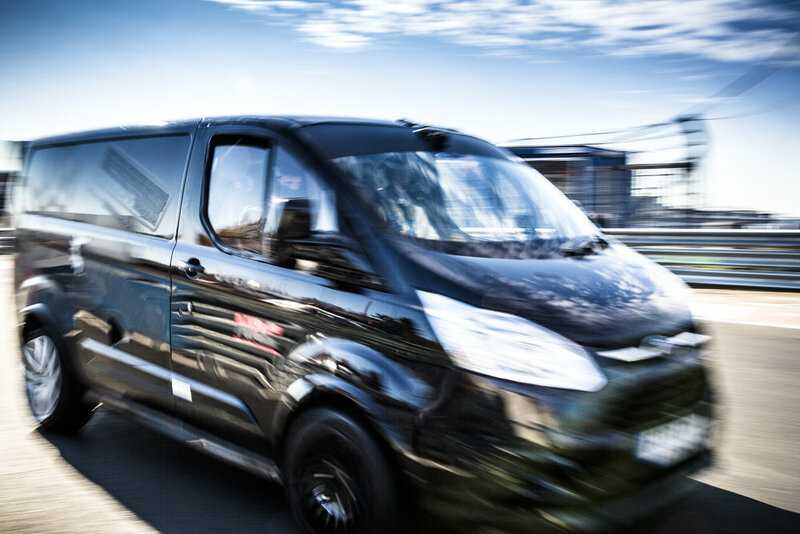 Now, Guy’s on a whole new mission with his favourite van – he wants set a new world speed record for a Transit van and break the van lap record at the Nürburgring in Germany. The Nurburgring Nordschleife is the most demanding, difficult and dangerous motor racing circuit on earth – once described by Jackie Stewart as ‘the Green Hell’. It requires a total rebuild of the van, a job Guy undertakes in his own shed and which takes over his life for 5 months. He also needs to learn the 100+ corners of the 12.9 mile Nürburgring circuit and then he needs everything to go perfectly for the one hour that he has the legendary circuit to himself. It’s a massive undertaking which repeatedly pushes Guy and his van to their limits and, as it approaches its climax, threatens to end in disaster.